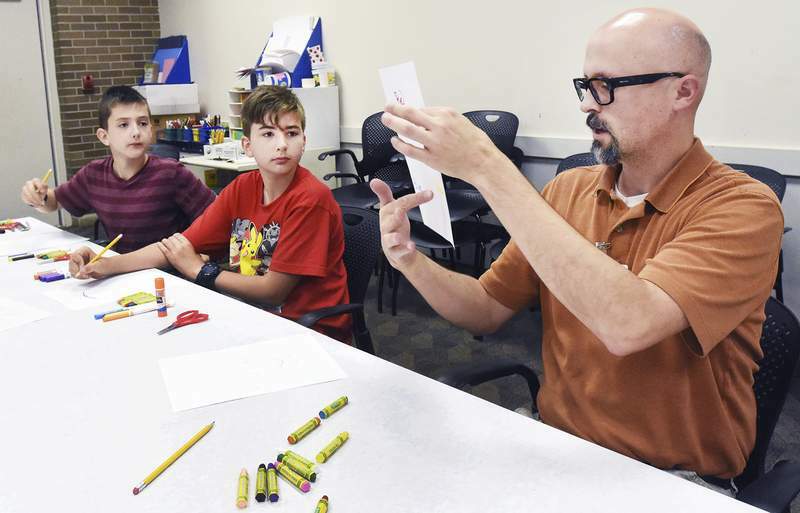 Cathie Rowand | The Journal Gazette Nate Burnard, librarian at the Hessen Cassel branch library, teaches home-schoolers Isaac Walter, 11, and his brother Andrew, 12, about primary and secondary colors during a recent art class. Stories by Journal Gazette reporters Niki Kelly, Ashley Sloboda and Rosa Salter Rodriguez and HuffPost reporter Rebecca Klein examine how the initial concept in Indiana expanded, the faith-based curriculum some schools use, whether vouchers are affecting the demographics of schools and where students with special educational needs attend, and effect on home school enrollment. We also profile two Fort Wayne schools and share the stories of students. INDIANAPOLIS – There is another choice for Hoosier parents other than public and private schools. They can home-school their children with virtually no oversight or regulation. In 2016, 4,707 home-school parents registered with the Indiana Department of Education – down about 45 percent from 8,534 in 2011. The data is not extremely reliable, though, given that registration is voluntary. Still, it shows a marked reduction since the voucher program was put in place in the 2011-2012 school year. One theory is that parents who were home-schooling children are now taking the choice scholarship dollars to enroll in a private school. A top reason cited in numerous studies of parents who home-school is a desire for religious instruction. But it's hard to prove or disprove the premise because the data is elusive. “Home-school in Indiana is growing by leaps and bounds, and I don't see choice scholarships stopping that,” said Fort Wayne home-school mom Melinda Ambrose. Choice is the legal name for the state's voucher program. She and her husband have taught their seven children at home. 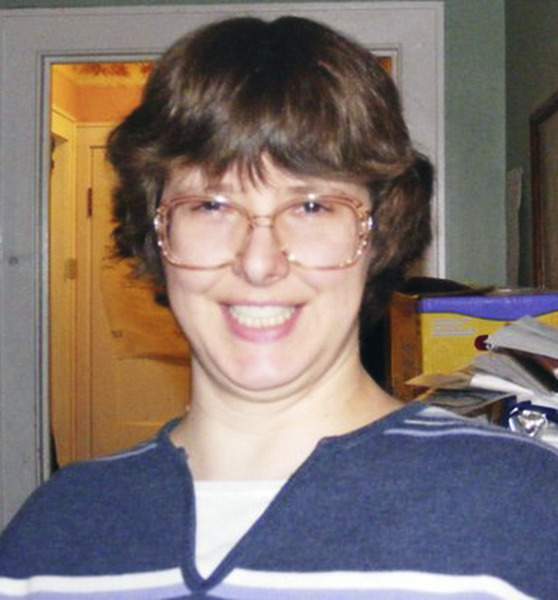 Currently, she is home-schooling a 10-, 12- and 16-year-old and her husband passed away in September. Ambrose said they have never considered moving to vouchers partly because there is no local school that matches their religious denomination. Stacy Hanaway, lead regional representative for the Indiana Association of Home Educators, also believes home-schooling is increasing. But she has only anecdotal information on the number of calls the group receives seeking information or the number of website hits. Hanaway acknowledged no one knows how many kids are being home-schooled in Indiana because registration is not required and “our parents like to stay under the radar.” She home-schools her sixth- and eighth-grader in LaGrange County. State law says home-schoolers must have 180 days of instruction with parents keeping attendance. Overall, it must provide an equivalent education. But there is no way to ensure any of that. They aren't required to take standardized tests, either. There is a tax deduction for parents with kids in private or home-school. But the Indiana Department of Revenue doesn't differentiate between the two. A 2012 report by the National Center for Education Statistics pegged the nationwide number of home-schooled students at 1.8 million. From 1999 to 2012, the percentage of students who were home-schooled doubled, from an estimated 1.7 percent to 3.4 percent. But that increase appears to have leveled off, according to data released at the end of September based on national surveys. In 2016, about 1.7 million students were estimated to be home-schoolers, which translates to about 3.3 percent of all K-12 students. This rate is not statistically different from the percentage in 2012. The Home School Legal Defense Association says it doesn't oppose vouchers or education savings accounts. But it does oppose government money to home-school families, whether these handouts are called vouchers, education savings accounts, or another term. The group “believes that such money would be a hand-out from the government, which will eventually lead to regulations that will restrict home school freedom,” according to its website. Ambrose has been home- schooling her children over 19 years and in three states. She said Indiana definitely has the most freedom. Of her four children to graduate from home-school – one is in the military; one has a bachelor's degree in art and a bachelor's in math; one is attending Utah State University and one is at the University of Saint Francis. “I can't overstate how helpful it's been,” she said.